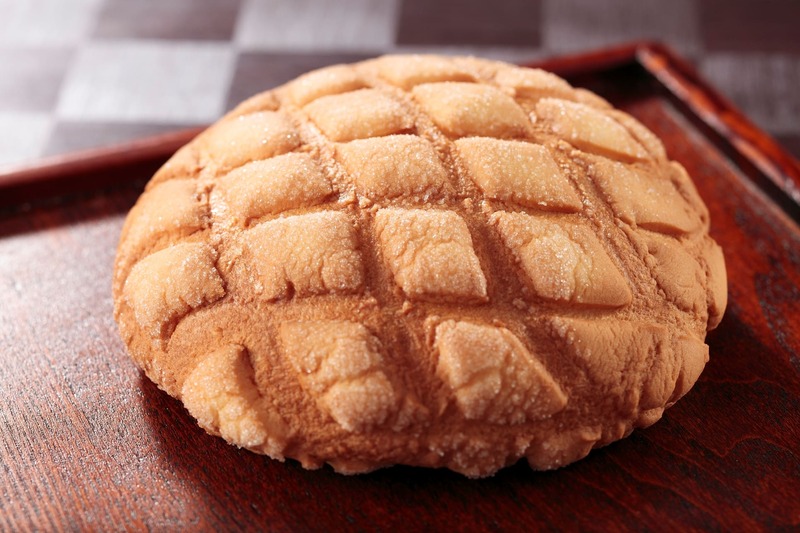 The Asakusa specialty「Jumbo Melon Pan」 is served at Asakusa Kagetsudo established in 1945. It is only 8 min walk from Asakusa station, we turn left at the corner of the main hall of Senso-ji Temple and could see this cafe at the entrance of Nishi-Sando Shopping center. The main food of this cafe is Melon Bread. It is Japanese Café that has 2 floors, you can buy foods and take-away at the first floor, or can have a seat and eat Maccha, Anmitsu and another several sweets in upstairs. 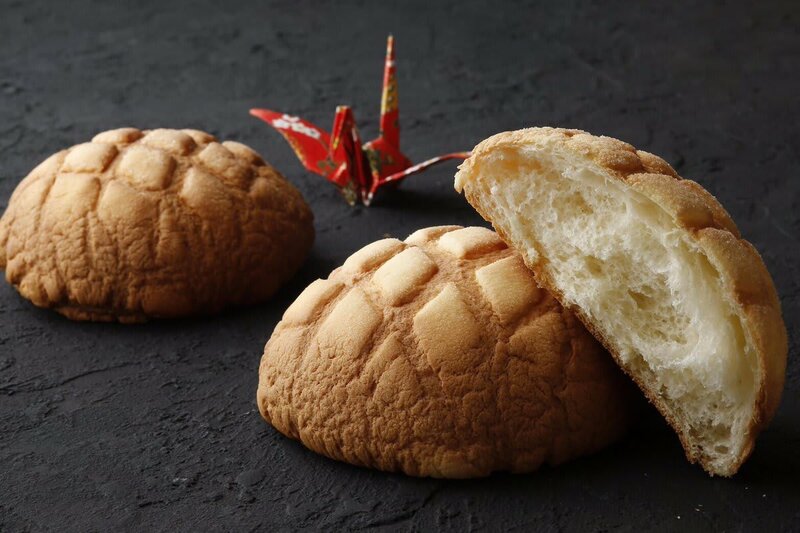 Jumbo Melon Pan made by Asakusa Kagetsudo has been introduced on TV, and as popular as to be sold 3000 pieces per a day. There are long line-up in front of the cafe by tourists and local people every day. This representative food product of Asakusa has been created by Asakusa Kagetsudo. You can enjoy having special melon bread there. This café serve you melon bread with putting ice cream in it, Anmitsu, and Maccha. The colorful ice cream is also attractive and you can enjoy having cold shaved ice in summer season. Different from the liveliness atmosphere at first floor, there is calm and Japanese traditional atmosphere café space upstairs. There is relaxing space that has a beautiful paint art on Shoji, retro lamp, gold fishes and gravel path make us feel these Japanese atmosphere. Friendly staffs will welcome you to this Japanese interior’s café. 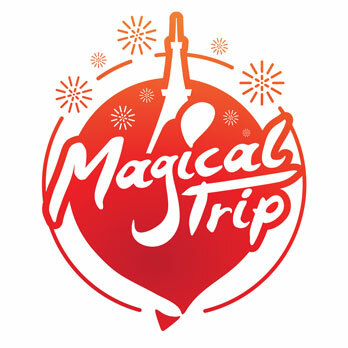 It’s also popular among foreign tourist. After get relax upstairs, let’s buy Jumbo Melon Pan as take-away at the first floor, and eat while sightseeing in Asakusa town. 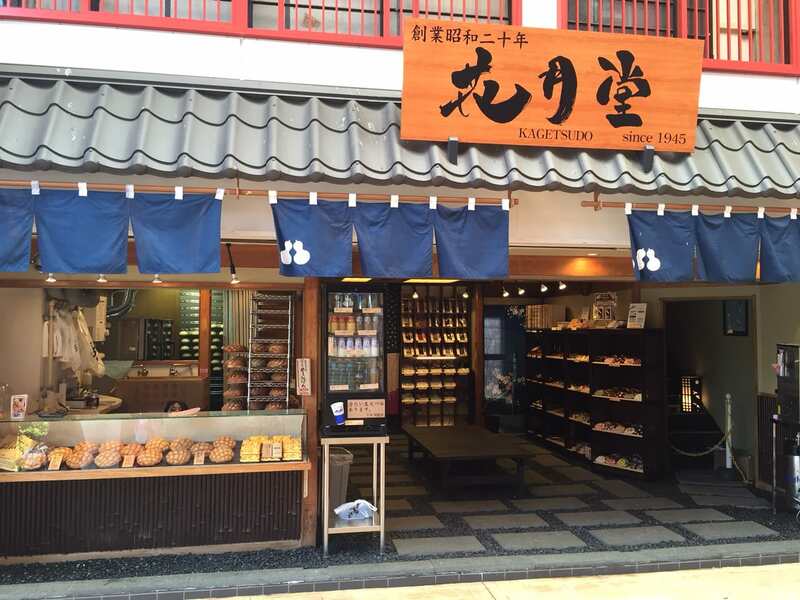 Asakusa Kagetusdo’s specialty is of course「Jumbo Melon Pan」. The owner of this café learned about fermentation when he was in his university and created this melon bread. It is not just big size melon bread, there is his original method of making melon pan, like crispy outside and amazingly soft inside. It would be deflated when you grab it tight, so please treat it carefully. ・The representative product’s name（Able to select more than one）: Melon Bread, Anmitsu, Maccha, Shaved Ice. ・Open and Close : 9:00 am ～ as Jumbo Melon Pan is sold out. 15 min walk from 「Asakusa」 Station on Tokyo Metro Ginza Line and Tobu Line. 10 min walk from 「Asakusa」 Station by Tsukuba Express.